Description: Optimization of detection of the air purpose by system of a secondary radar-location is resulted. Sidorenko, R.G. and Krasnoshapka, I.V. 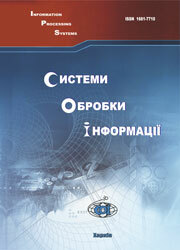 (2006), “Analiz pomekhoustoichivosti radiometra pri vozdeistvii uzkopolosnoi pomekhi”, Information Processing Systems, Vol. 1(50), pp. 155-160.